In celebration of Hans J. Wegner’s birthday, Carl Hansen & Son is crafting his iconic Wishbone Chair in a new edition that, with its intense, warm glow, naturally joins the Nordic design universe. This special edition has been named Ancient Oak in reference to the exceptionally well-preserved, thousand-year-old pieces of oak occasionally found in peat bogs. Such oak acquires distinctive characteristics through its contact with the iron salts in the bog – and is quite rare. Employing modern processing and dyeing techniques, Carl Hansen & Son has recreated the characteristic look and qualities of bog oak with the Ancient Oak variant. - The resulting refined expression, deep, warm color, and strength match the elegance of the Wishbone Chair and beautifully harmonize with its natural woven paper cord seat. 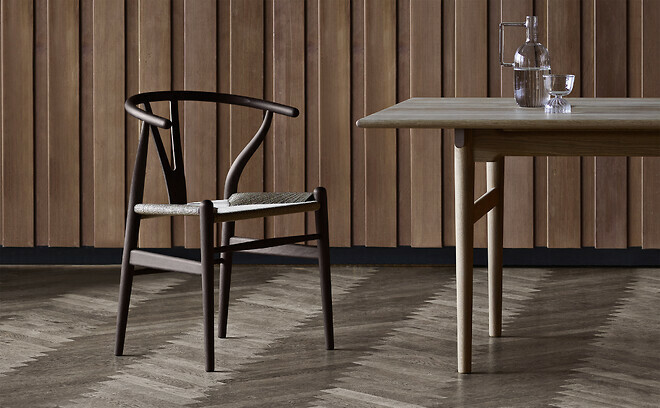 Ancient Oak complements Hans J. Wegner’s organic design and emphasises the furniture designer’s innovative vision, says Carl Hansen & Son CEO, Knud Erik Hansen, who looks forward to presenting this unique birthday edition of the Wishbone Chair. With the exclusive, special-edition Wishbone Chair, Carl Hansen & Son adds yet another chapter to the story of the unique collaboration between furniture designer and manufacturer – a story that began nearly seven decades ago. 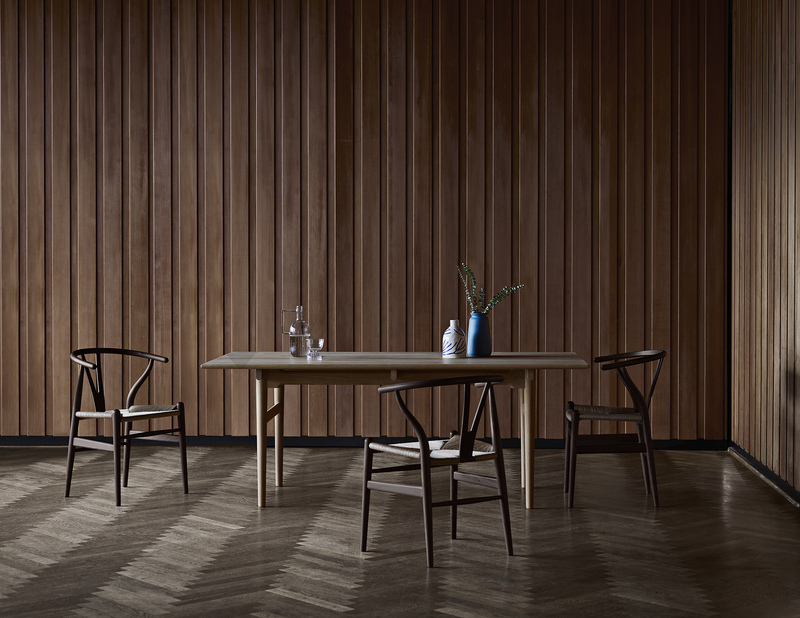 Together, Carl Hansen & Son and Wegner created a series of furniture classics and collectors’ items. The Wishbone Chair, or CH24, was one of the first five chairs Wegner designed for Carl Hansen & Son, alongside the CH22, CH23, CH25 and CH26. With its strong, graphic expression, advanced elements, and complex design, the Wishbone Chair quickly gained iconic status, and has been instrumental in cementing Wegner’s position as a leading figure in Danish furniture design history. - Hans J. Wegner has left a unique cultural heritage that continues to inspire and that we need to protect. His furniture has the potential to be challenged and reimagined in new materials. This is what we have done with the new Ancient Oak variant, which will be of particular interest to collectors and Wegner enthusiasts, explains Knud Erik Hansen. Wegner first designed the Wishbone Chair, known for its distinctive wishbone-shaped backrest, in 1949, and the chair has been in continuous production since 1950. It is the result of an intense and uncompromising partnership between Wegner and the skilled craftsmen who contributed to the design’s demanding development work. 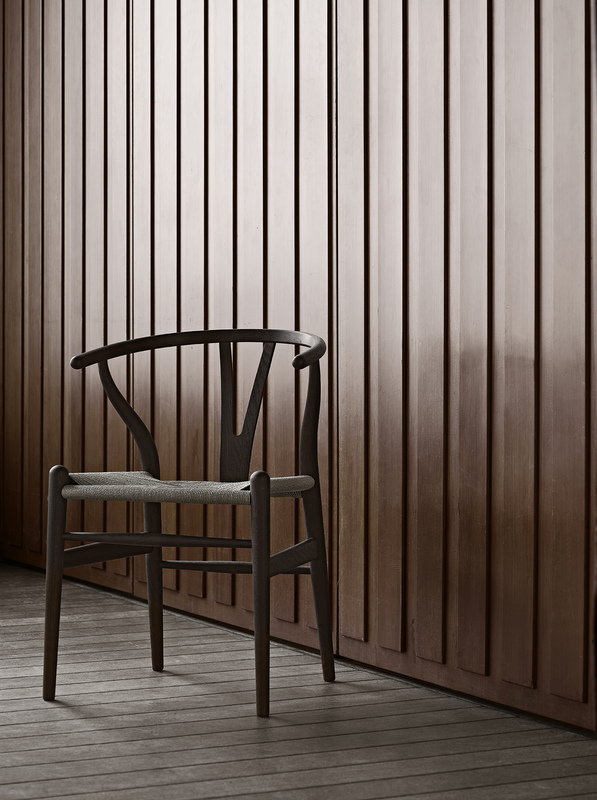 Almost 70 years after coming into existence, the Wishbone Chair continues to place great demands on Carl Hansen & Son’s skilled craftsmen, who handle and manually assemble the chair’s 14 parts and hand-weave the seat from 120 meters of paper cord before the finished chair can leave the furniture factory in Gelsted, on the Danish island of Funen.